"Hide" is a 24 hour Game Jam project created by Catpunter for the AGS forums that expanded long beyond 24 hours into a full weeks worth of work. 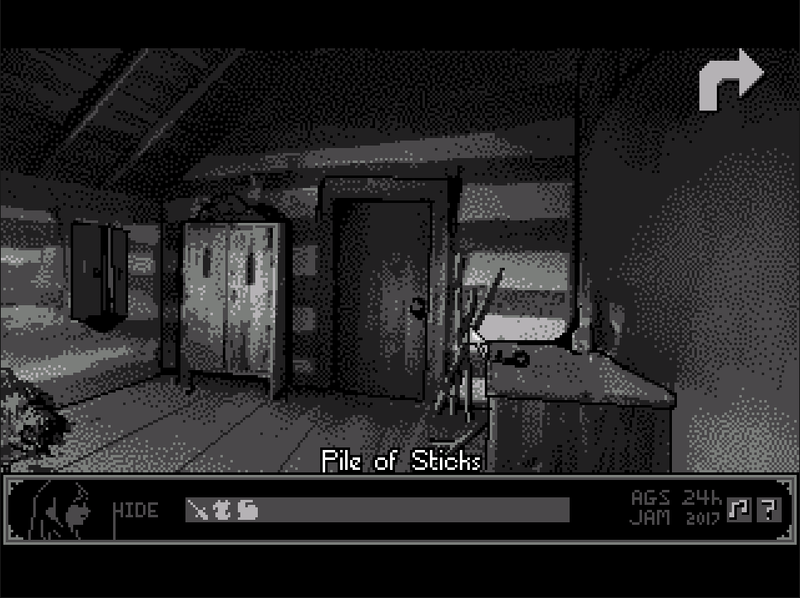 You play as a young woman Olivia who finds herself in an abandoned hunter's hut trying to trap, and kill, a werewolf that has been gorging on villagers from nearby towns. You only have one chance tonight, so don't waste it. 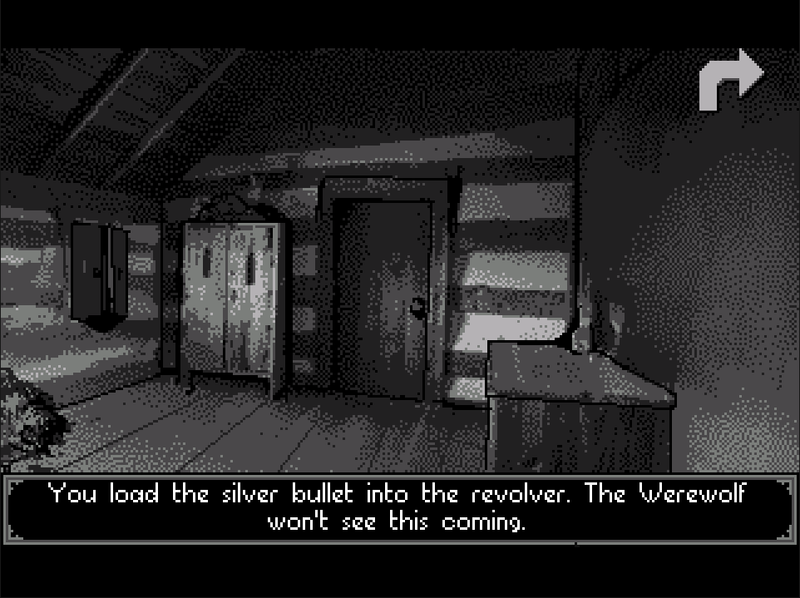 Known Issues: -Music restarts on game over despite turning it off -Ending title card graphics missing -Revolver can't be used on bullet to load it -Sound effects missing -May crash on first start up if you haven't set the config file. This is a really well thought out game, with several different endings which all push you towards the final goal. 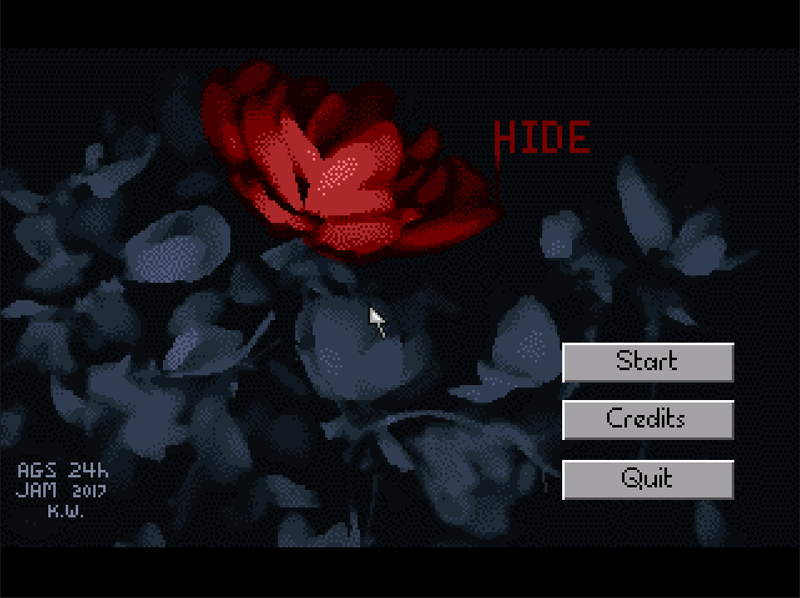 The music and graphics work well to create a foreboding atmosphere and the puzzles are simple, yet not obviously so. A really great little game.